2. Beaches! Choco Colombia beaches I mean, just look at them! Sure, the Caribbean has the glamour…the white sand, cocktails and bikini-clad beauties…but the Chocó has some of Colombia’s most spectacular beaches and, as per the previous point, you’ll be sharing them with virtually no-one! From the dramatic, black-sand Playa Guachalito near Nuqui, to the tiny, untouched strips along the coast of the Utria National Park, there are few places better on earth for that Robinson Crusoe, lost-on-a-desert-island vibe than the Chocó. I mean, just look at those beach photos…seriously, look at them! It’s not just about the whales in the Chocó; another popular wildlife activity is to head down to the local beaches in the dead of night (this makes it sound spookier than necessary…just go to the beach when it’s dark!) to watch sea turtles come up from the ocean to lay their eggs in the sand. Roughly between late August and January are supposedly the best times to witness this incredible natural spectacle. But please, respect the animals when you are watching them – they come halfway round the world to lay eggs in peace, not have torches shone int heir face and camera flashes going off constantly! Specialized local guides are available, with proper experience and scientific knowledge, so make sure to arrange a visit with them to get the most from the experience. I know, I talk a lot about birds (see here, here, and here for more evidence of this! 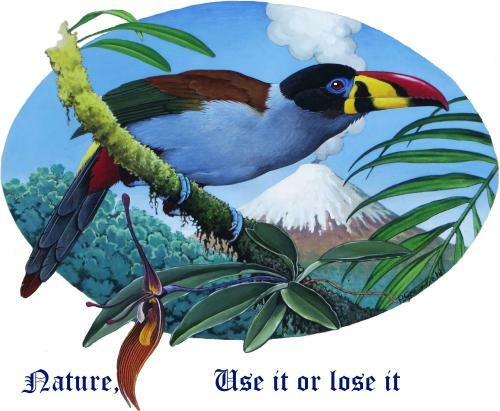 ), but Colombia does have more species of bird than any country on earth after all! Colombia’s feathered friends are one of the country’s true jewels, and the Chocó has more of them than almost anywhere else! The coastal areas, with national parks like Utria, are home to wide beaches, open ocean and deep jungle, and this makes for a wonderful combination of bird species, whilst, inland, bird reserves like Las Tangaras and Cerro Montezuma host a wealth of endemic bird species that will have any birder salivating and then booking a ticket! The Chocó’s wildlife doesn’t just swim and fly…the region is home to a remarkable diversity of insects, amphibians, reptiles and mammals as well. Hike into the jungle to swim in lovely rivers and discover tiny poison dart frogs, their bright colours standing in stark contrast to the green surroundings; take a boat up the river to see turtles and river otters, and just hang out anywhere to enjoy the sight of thousands of butterflies lighting up the dim jungle…the Chocó is truly a natural jewel in Colombia’s already fairly formidable crown! Obviously the presence of water for swimming isn’t in itself a reason for visiting one place over another: the Caribbean has it’s fair share after all! However, the diversity of swimming spots in the Chocó’s Pacific region is truly amazing – slip off the boat and watch whales pass before your eyes through your mask, take a dip in the warm waters off any one of the aforementioned beaches, hike into the jungle and refresh yourself in the cool river waters flowing down from the Western Cordillera, or head to Jurubida or Nuqui for some hot springs in the forest…the options are diverse and equally wonderful…just remember the snorkel and the bathing suit and you’re set! 9. And a good meal?! Cazuela de Mariscos Cazuela del Pacifico…yum! Obviously you’re going to work up an appetite doing all that whale-watching, hiking, swimming and festival-ing, right?! Well, never fear, ’cause the Pacific coast has you covered! Delicious fresh fish is the order of the day, usually served with the ubiquitous coconut rice and patacones. However, there’s more to Pacific coast food than this: a delicious cazuela del Pacifico is not to be missed, and the fish soups I had on day trips to Jurubida and Playa del Tigre were out-of-this-world delicious – the latter featured cockles that the chef had picked up whilst wandering around the wave-crashed rocks earlier than morning: freshness guaranteed! You thought I’d forgotten, didn’t you?! Most tourists pay a visit to the Chocó for this one simple reason: to spend some time observing the magical spectacle of humpback whales in the warm Pacific waters of Colombia. And there’s a good reason why they do – the experience is a once-in-a-lifetime sort of thing…as the whales leap from the water with the mist-shrouded (or sun baked) jungle hills disappearing into the distance behind them, it’s easy to feel very small indeed, and incredibly humbled by the natural world and our place in it. It’s doubly amazing simply because of the lack of an infrastructure dedicated to whale-watching: you are usually sitting on a boat alone in the ocean with just a few companions and the whales for company. Sure, some boatmen can skirt a little close to the animals at times, and this will improve as tourism does, but to be sat in a tiny little boat, down at the level of the water, as these giants of the sea surface is a truly one-off experience. I’d urge everyone who can go to go! Everyone has a little adventure inside of them, whatever they may say. A desire to do something completely different to their normal life, to venture somewhere they’ve never been before, a personal Eldorado if you wish, and to fully experience whatever they may find. As most of our world has now laid bare its secrets to us, finally discovered, explored, and repeatedly charted and mapped, they are still some places that retain a certain mystery, a touch of magic about them, and a hidden secret or two. In the far northwest of Colombia, one of the most stunningly biodiverse countries on the planet, you will find the department of Choco sharing coastlines with both the Pacific and Caribbean oceans, its inviting sandy beaches surrounded by vibrant, lush jungles, bursting with unique ecosystems fed by the highest rainfall for a lowland anywhere in the world. For the more adventurous, Eldorado-seeking traveller, there simply aren’t many places like Choco Colombia to be found in this world anymore. 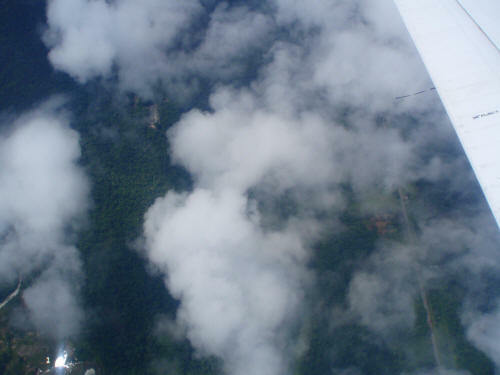 The Choco Department forms the majority of the eco-region known as el Choco which extends from Ecuador north to Panama. It’s biodiversity and unique ecosystems are given life by the tremendous volume of rain that falls each year – the municipality of Lloró there holds the record for the highest average annual precipitation, which was measured at a colossal 523.6 inches (13,300 mm), and making it officially the wettest place in the world. Because of this, the vast majority of the Choco is dense rainforest, teeming with exotic flora and fauna – a beautiful paradise of biodiversity. So what can the adventurous traveller see and do in a place such as this? Put simply, plenty… and much more. Sit back and peruse the following 20 reasons why you must visit Choco Colombia in 2018 – the places to go and the adventures to seek. From swimming under waterfalls, to whale-watching from the beach, to exploring the mighty rainforests, it is all here for you, waiting. All along Choco Colombia’s Pacific coastline, between the months of July and November, there is one natural spectacle you should not miss – the ocean waters become home to huge numbers of migrating humpback whales, who have travelled some 8,000 kilometers north to these warmer depths to mate and then give birth. Weighing around 40 tonnes and 30 meters in length, these huge, majestic mammals cut through the ocean with their enormous back fins, occasionally jumping through the surface in graceful, slow-motion leaps, ocean spray arcing beneath them. El Choco Colombia is home to a high number of different natural reserves, all focusing on a particular aspect of biodiversity, as well as the natural splendor of the environment in general. Situated on the Caribbean coast, close to the Panama border, you’ll find the remote, traffic-free town of Capurganá, home to the nature reserve of El Aguacate bay (meaning avocado), with it’s bright green, crystal-clear waters. Just to the south of Capurganá, and mentioned above, you’ll find the Aguacate Nature Reserve, with its paradise bay, full of colorful coral formations teeming with marine life – a must if you like to snorkel. 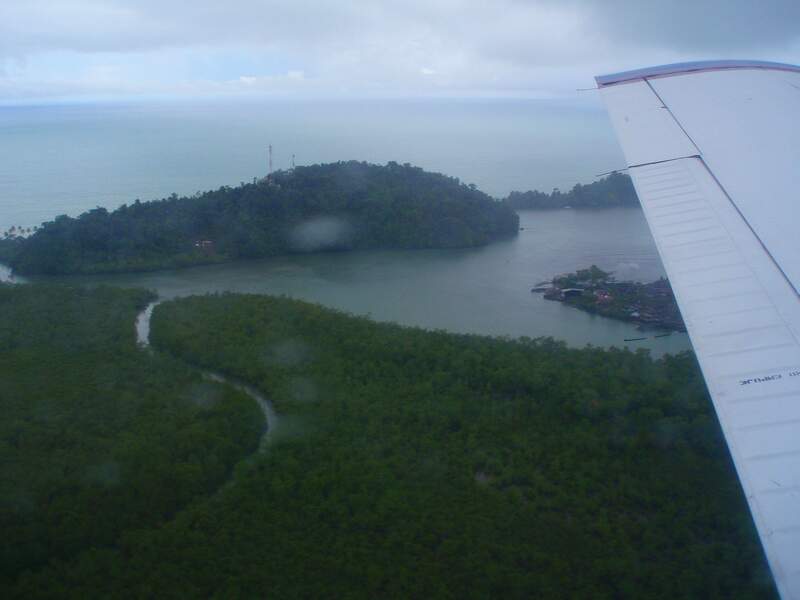 This small strip of beautiful coastline extends into the nearby rainforest (around 200 hectares of which is classified as nature reserve also). Here, you’ll find howler monkeys, capuchins, tamarins, and the earless aotus monkey, as well as poison dart frogs, common lancehead vipers, lowland pacas, agoutis, and armadillos. The wonderful town of Nuquí is located in the western part of el Choco Colombia, between the Pacific Ocean and the mountainous region of Baudó. Itself a municipality also, Nuquí is an amazing mix of cultural and ethnic diversity with Afro-Colombians and indigenous tribespeople, backdropped by a rich variety of flora and fauna. With less than 10,000 inhabitants living in the municipality, the departmental capital retains a pueblo feel. Choco Colombia offers both the experienced and novice surfer (and everyone in between) a plethora of great locations to ride the waves, with both the Pacific and Caribbean coastlines creating perfect surfing conditions for all levels. In fact, Colombia is fast becoming one of the most popular countries to head to if you’re a serious surfing animal. In Nuquí, the best surf zones are the paradise location of Guachalito Beach, where surf rental and classes are readily available, Cabo Corrientes – only accessible by boat and with world-class surfing – and, situated just south of Río Nuquí, Playa Olímpica, a rugged looking-beach that simply goes on and on, just like the ocean itself. Time to fully immerse yourself, not in the ocean waters this time, but in the magical, biodiverse beauty around you, by taking a tour along the Joví River, deep into the very heart of the rainforest. From your dugout canoe, known as a chingo, you will witness a whole host of natural wonder, from scurrying monkeys weaving through the tree canopy above, to the lush green floor of the jungle. A mere 15 minutes by boat from Nuquí is the delightful coastal village of Coquí, with its miles and miles of the some of the most well-preserved mangrove swamps you can hope to find in Colombia. Locals offer various mangrove tours (again, in chingos) for visitors keen to gaze upon yet another defining aspect of Colombian biodiversity. Situated closely together, you’ll find the small communities and popular tourist destinations of Bahía Solano and El Valle, with some of the best vantage points on the Pacific coastline for whale-watching. Bahía Solano is a both a town and a municipality, and is known by the locals as simply Bahia. 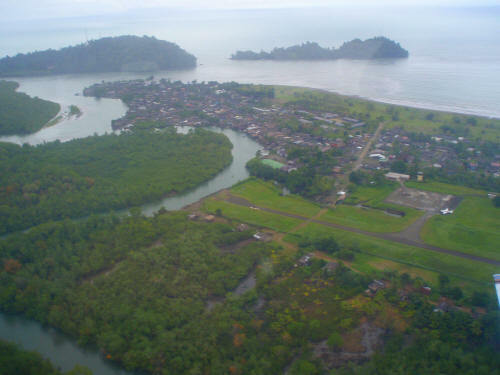 It has its own regional airport (with daily flights from Medellin, Quibdo, Cali, and Bogota) and seaport, which serves the main and larger port of Buenaventura. The area has some of the best snorkeling Choco Colombia has to offer along the entire Pacific coast, as well as marine sport or recreational fishing. One of the jewels in Choco Colombia’s crown of biodiversity has to be the Utría National Natural Park (or Parque Nacional Natural Ensenada de Utría). Created in 1987 and benefiting from one of the largest volumes of annual rainfall in the world, the nature park is teeming all over with life – both on land and out into the Pacific (the park also protects the adjacent coastal marine environment). The park, located to the north of the Gulf of Tribugá, is named after the Utría Cove (Ensenada de Utría), a massive coastal lagoon surrounded by lush mangroves and dark sand beaches, and often visited by migrating humpbacks and sea turtles. In fact, it is quite common for the humpbacks to use the lagoon as their maternity ward from August to October! For the keen scuba-diving enthusiast, the coastal area of the Utría National Natural Park has to be the place for you. The Pacific region boasts 16 species of coral, and here you can marvel at 11 of those, including both the beautiful branched Pocillopora and Porites corals, and a variety of molluscs, including ark clams and the eastern pacific giant conch, as well as over 180 species of fish, from the imposing whale shark right down to the tiny goby. Right up in the far north-east edge of Choco Colombia, on the border with Panama, a veritable feast of nature can be found for the more adventurous traveller in the form of Los Katíos National Natural Park. 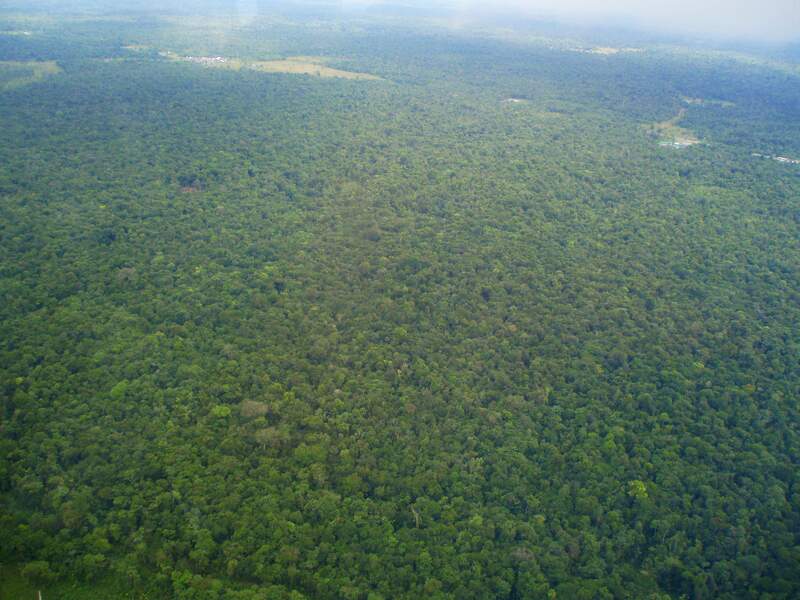 Now a World Heritage Site due to the amazing diversity of plant and animal species, the park is a part of the Darién Gap, a densely forested area shared by Colombia and Panama. An example of this can be found with the bird-life here – over 25% of Colombia’s reported species inhabit an area compromising only 1% of Colombian territory. A true birdwatcher’s paradise. Quibdó is both a large town (the capital of the Choco Colombia, in fact) and its own municipality. Located on the Atrato River in the east of the department, it receives probably the largest volume of rainfall for any equatorial region. Its inhabitants are mostly Afro-Caribbean, and the surrounding area is rich in gold and platinum deposits. El Páramo Tatamá, more formerly known as Tatamá Natural Park, is probably one of the most inaccessible nature reserves you’ll ever visit – if you’re up for the challenge. The park is known for its rugged geography and steep slopes, earning it the reputation as one of the only areas of virgin wilderness left in the world, and also for its excellent record in conservation. Now, who’s up for this challenge? Just another of Choco Colombia’s hidden gems. #20. Seafood, Seafood, Seafood! Choco Colombia – unless you live there, it is one of the last truly unknown places left on the planet, where the natural biodiverse world is king and its human inhabitants put great effort into its well-being and its conservation. From the grand nature parks that extend out into the ocean waters, to the newly-hatched olive ridley sea turtles heading out to those very same waters, Choco Colombia is fast-becoming the vacation destination for eco-tourists and beach-worshippers alike – in fact, any seasoned traveller with a more adventurous attitude. Miles and miles of glorious sandy beaches are the only separation between the Pacific and the Caribbean ocean surf, and the lush green rainforests and cascading waterfalls that bedeck the nearby mountain ranges. Yes, Choco Colombia really is some kind of heaven right here on earth. What particular place or activity makes you want to visit awe-inspiring Choco? Its biodiversity? Its excellent surfing? Watching humpback whales arcing out of the Pacific waters before crashing back down in a huge torrent of ocean spray? You can still feel the spray 200 meters away, you know! Whatever your reasons, let us know with a comment below, and don’t forget to share this article among your fellow travellers (maybe with a little comment saying, “Wow! Check it out. Who’s up for this?”). Choco Colombia and all its natural glory is waiting right here for you. 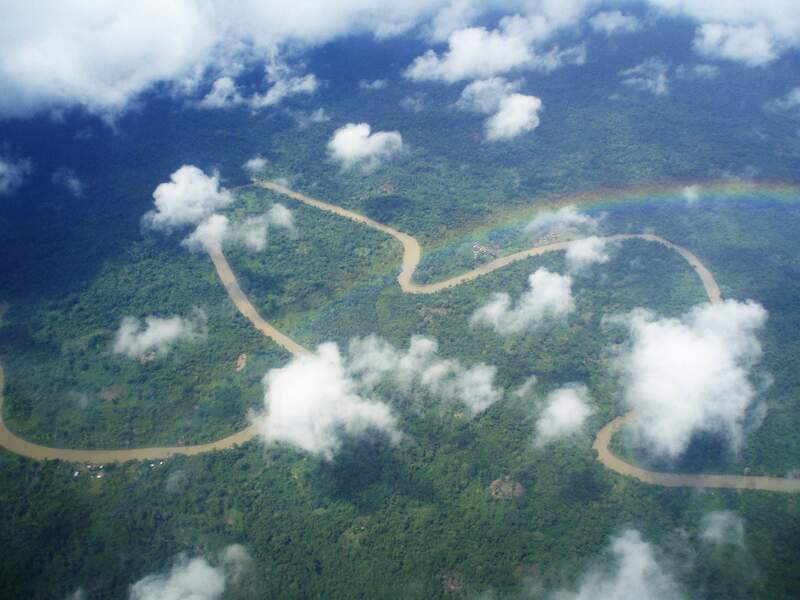 The Pacific/Chocó natural region is one of the five major natural regions of Colombia. 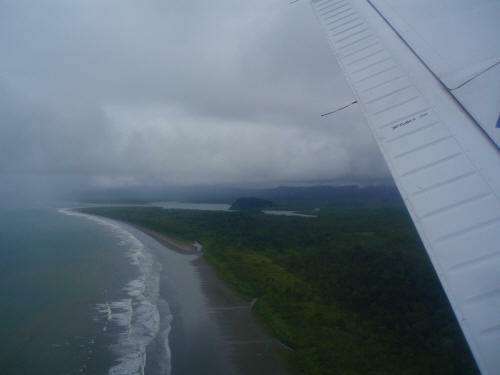 Ecologically, this region belongs entirely to the Chocó Biogeographic Region and is considered a biodiversity hotspot. It also has areas with the highest rainfall in the world, with areas near Quibdo, Chocó reaching up to 13,000 mm (510 in) annually. The Pacific region is bordered by the Pacific Ocean to the west and the West Andes to the east. To the north is the Darién Gap and the Serranía del Darién at the border with Panamá. The area is mostly flat and covered by dense rainforest, rivers, swamps, and mangroves. The Baudó Mountains are a small, isolated range in this area along the coast. Gorgona Island is located off the southwest coast. Politically, the region is within the following Colombian departments: Chocó, Valle del Cauca, Cauca and Nariño. The 250-km-long coastline of the Serranía del Baudó, between Punta Ardita and Cabo Corrientes (Fig. 3), is dominated by steep cliffs, up to 70 m high, cut into diabases and chert (Figs. 4 and 5). Cliffs alternate with small sandy to shingle and cobble pocket beaches that are located within the minor coastal indentations. Wide sandy beaches (Figs. 6 and 7) and sandy-muddy tidal flats front the major coastal embayments and river mouths. Small mangrove swamps are located landward of the beach and along the low courses of the main rivers, where tidal waters penetrate 0.5 to 1 km upstream from the shoreline. The strong structural control on the coastal morphology of the Serranía del Baudó is exhibited well in the Bahía Solano-Bahía Utría zone, where the 8-km-long Utría Bay depression closely coincides with the Bahía Solano fault zone (Figs. 8, 9, 10). The fault is interpreted as a reverse fault with a slip rate of 0.2 to 1 mm/yr (París et al. 2000). The Bahía Solano village (Fig. 11) was partly destroyed and suffered local subsidence of 20-30 cm as a result of the September 26, 1970 earthquake (M 6.5), associated with the Bahía Solano fault (Ramirez 1970). Page and James (1981) reported at least three coastal subsidence events in the area during the last 800 years, probably associated with earthquakes of similar magnitude. Recession of the Baudó cliff coast is negligible in most areas, but saprolite landslides and rock falls (Fig. 12) are common during heavy rain, and/or strong onshore winds and seismic events.